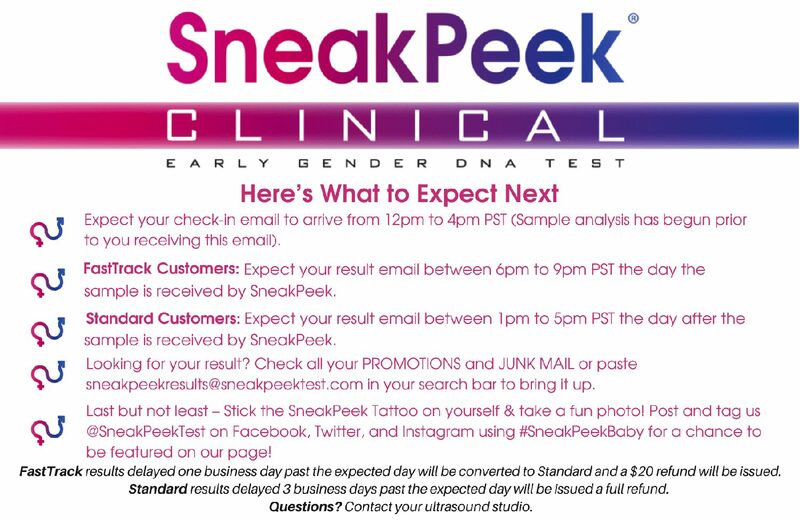 SneakPeek Clinical is an early gender DNA detection test offered to women starting at 9 weeks pregnant. An on-site phlebotomist will draw a small blood sample in the comfort of Bountiful Babies Studio. We will then overnight the sample to SneakPeek Labs for processing, thats it! Just show up for approximately 15 minutes and everything is taken care of for you. Your results will be emailed to you (or whomever you choose). The lab offers the fastest turnaround times in the industry. SneakPeek utilizes the natural process of shared fetal DNA circulating inside the mother’s bloodstream. 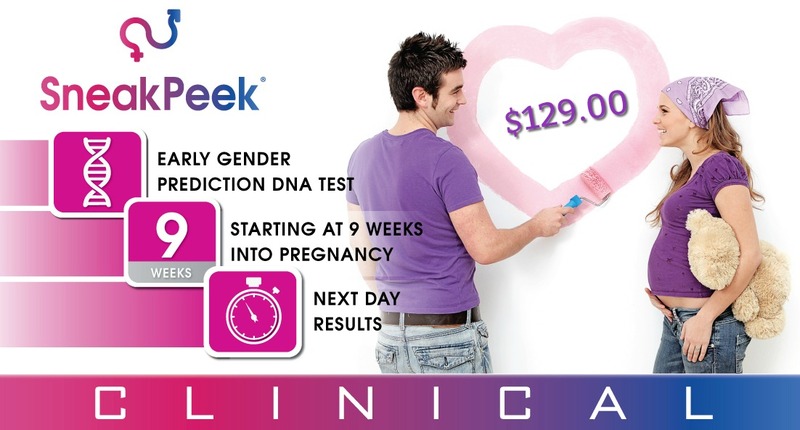 Their PCR technology has the ability to detect the presence or absence of the male Y chromosome in the blood sample starting at just 9 weeks into pregnancy. If the Y chromosome is detected then the baby’s gender is male and if it is not detected then the baby’s gender is female. How does SneakPeek® Clinical differ from home tests? Sneak Peek Clinical has no risk of contamination as home tests do. The blood test sample is never exposed to outside elements like the finger prick method. It is taken by a licensed phlebotomist in a sterile setting. With Clinical, we take care of everything for you. No watching the mailbox, no running to the post office. We have everything here and we will overnight your sample for you. Yes you can. If we detect the presence of male DNA then we can confirm at least one of the babies is male. If we do not detect male DNA then we can confirm you are only having female babies. What Can Effect My Test Results? The loss of a twin or a vanishing twin can effect the results of the test if the lost fetus was male and the surviving fetus is female.